Maine has a sizable GLBT community and a popular gay tourism following, especially the southern coastal region, which extends from the gay resort community of Ogunquit north 40 miles to the state's largest city, Portland, and on up the coast. In fact, according to demographers at UCLA's Williams Institute, based on the percentages of cohabiting GLBT couples, Portland is the 3rd gayest city in the country. 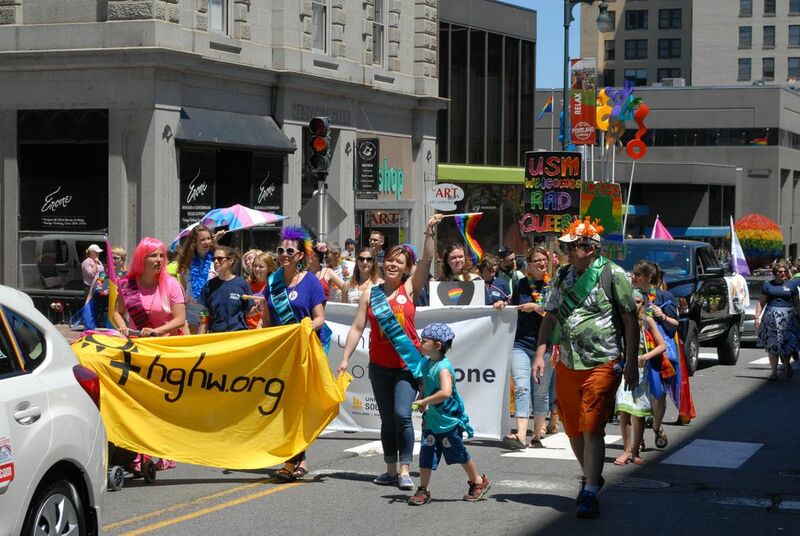 Here in Portland each June, the community gathers together to celebrate the Pride Portland Parade & Festival, formerly known as Southern Maine Gay Pride. The date this year is June 18, 2016, but there are a number of related events taking place throughout the preceding 10 days or so, including parties during the big weekend (June 17 through June 19). Pride Portland includes a parade and festival. The parade kicks off at noon at downtown's Monument Square and proceeds to Deering Oaks Park, where the festival - featuring a slew of talented performers - is held. There is a Pride Cruise on Thursday night, parties and bar hops in Portland on Friday and Saturday night, a Dyke March on Friday night, and a Tea Dance on Sunday afternoon on beautiful Peaks Island. Here's a complete schedule of Pride Portland events. Also during this weekend, check out Portland gay bars and gay-friendly restaurants, and also consider making the short trip down the coast to lovely Ogunquit, which will be plenty busy that weekend. Visit the website Gay Portland Maine for more information on the area, as well as the sites of New England GLBT publications like Boston Spirit Magazine, the Rainbow Times, and Bay Windows. Also, be sure to take a look at the excellent GLBT travel section of the city's official tourism organization, the Portland Maine Convention and Visitors Bureau.